I’ve got to tell you, I did not wake up this morning thinking that I’d be psyched for a holiday movie about The Nutcracker that doesn’t come out for another year. Lo and behold, here we are. 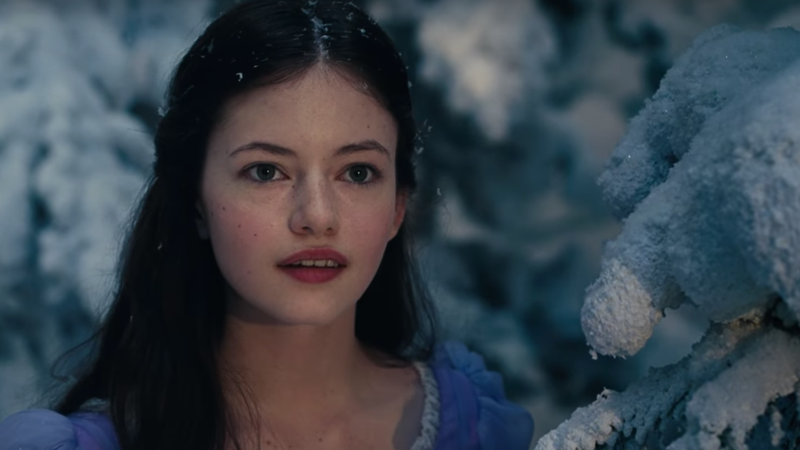 The debut teaser trailer has come out for Disney’s The Nutcracker and the Four Realms, a live-action adaptation of The Nutcracker ballet and original fairy tale starring Mackenzie Foy from Interstellar. Everything about this movie from director Lasse Hallström looks weird, but in every way that’s awesome. Morgan Freeman with an eyepatch? Check. Dame Helen Mirren commanding an army of rats? Check. Crazy beautiful costumes as far as the eye can see? All the checks, please. It’s like a Tim Burton production where Tim Burton took an extended holiday and everyone else was, like, “Okay, now let’s actually do something interesting.” Here’s the official synopsis and you can watch the trailer below.